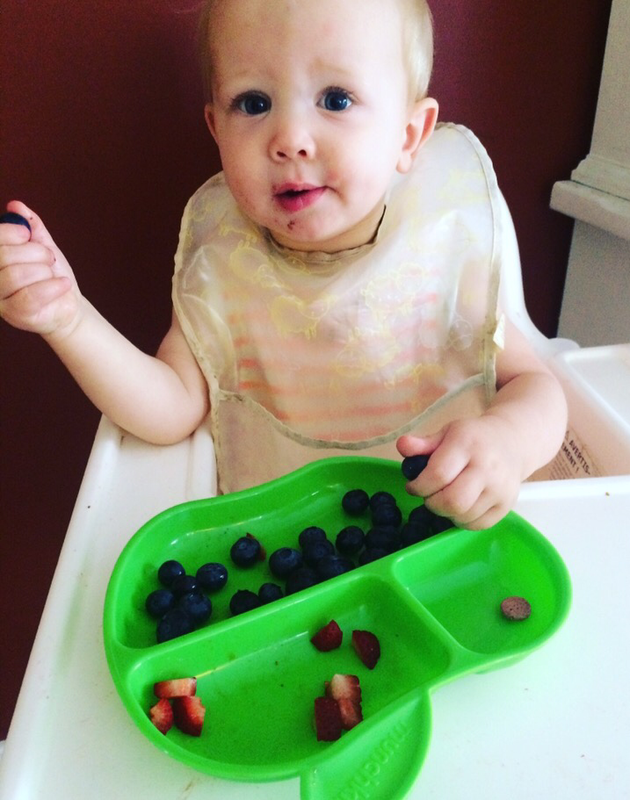 I have spent the last 20 months raising my son, one of his favorite things is fruit. We always seem to have a ton of fruit on hand and I have spent the last year trying to figure out how to serve it and keep it fresh and when is best to eat it. Here’s a few tips I have discovered! Apples – When I was pregnant all I would eat was BAGS of cut up Golden Delicious apples – my personal favorite type of apple! I have found that the best kind to buy to ensure they last long is Golden Delicious or Ambrosia. These two I have found last the longest AND my little one doesn’t mind the skin! Other flavors of apples Pearce MUST have pealed which can lead to a lot of work! When you bring these BC treats home soak for 15 mins minimum in a bath of 8 cups water 1 cup vinegar then let dry on the counter before putting in the crisper in the fridge loose. – the best way to prepare for kids with fewer teeth is peeled with small cubes, 1 apple – 1/2 teaspoon of lemon juice to keep from browning in a sealed container. – we also do apple sauce as a night-time snack when purchasing make sure you read the ingredients and that you don’t buy anything with more than 2 ingredients : apples and ascorbic acid everything else is extra or sweetened which kids don’t need! 4. Store in the fridge if not using same day – store in a partially closed contained, line with paper towel (putting between layers if stacking), and if using original container wash thoroughly. 1. SORT – remove all the bad ones! 5. store in a breathable non-metal container with paper towel on the bottom and between the rows. Bananas – These gems are amazing for little ones, an awesome night-time snack to get baby to sleep longer – or so a few mom friends have said. Bananas are good because they are EXTREMELY safe, just be sure that if your little one is a new eater you don’t give them to big of a piece for them to shove down their throat. Bananas are best stored at room temperature. Kiwis – When I was a kid my older sister taught me to cut a kiwi and I never thought much of it until my little sister was over and I told her to cut a kiwi and she didn’t know how! the best way to cut a kiwi IMO is to cut the kiwi in half, then take a spoon and scoop it out. Then cut the two halves into cubes. I suggest only cutting night before or day of eating. Kiwi’s are best stored at room temp until ripe then put them in the fridge in a bag. Dried fruit are also great treat for little ones so if you have a dehydrator start experimenting for delicious treats, my favorite is definitely pineapple and mango! You can also buy these in a store but they can get a little pricey. Pearce is a huge fan of raisins and pineapple. Stone fruit (peaches, plums etc) – on the counter until ripe then in a bag in the fridge. Best Time of Day to eat Certain Foods – this is more for us adults but can also effect our little ones. – worst time eaten for dinner – cheese is heavy to digest eating for dinner can lead to indigestion and weight gain. – When eating pectin for dinner it is harder to digest at night it also increases stomach acid. I hope you guys found this helpful, I am always looking up how to keep things lasting longer. If you have any tips please share! !